U.S. emergency care costs may be more than twice previously published estimates, according to a new analysis that critiques those estimates, argues for improved accounting, and suggests considering the value of emergency care as well as total spending. “The ER has become increasingly important as a place where people go for acute unscheduled care, however there has been little rigorous analysis of its cost structure,” said paper lead author Dr. Michael Lee, assistant professor of emergency medicine in the Warren Alpert Medical School of Brown University and a physician at Rhode Island Hospital and The Miriam Hospital. Lee, who had a prior career in economics and finance before training in emergency medicine, co-wrote the analysis with Dr. Brian Zink, professor and chair of the Department of Emergency Medicine at the Alpert Medical School, and Dr. Jeremiah Schuur, assistant professor at Harvard Medical School and director of quality and patient safety for the Department of Emergency Medicine at the Brigham and Women’s Hospital. The challenge of properly accounting for the costs of emergency care, Lee said, becomes crucial as health care financing moves from a fee-for-service model to bundled payments for patient populations or episodes of care. The analysis first examines current estimates of aggregate spending on emergency department (ED) care. The Agency for Healthcare Research and Quality’s Medical Expenditure Panel Survey (MEPS) estimates $48.3 billion of spending on emergency care in 2010, or 1.9 percent of the nation’s total health care expenditures of $2.6 trillion. With the message that “The total cost is small relative to the entire health care system,” the American College of Emergency Physicians has embraced the AHRQ figure in its “Just 2 percent” public relations campaign. How big a part of the whole bill? A new cost analysis suggests that emergency care accounts for far more than the commonly accepted 1.9 percent of the nation’s $2.6-trillion annual health care bill. It’s more likely between 4.9 and 5.8 percent — possibly as high as 6.2 to 10 percent.But Lee and his co-authors point out, based on data from other studies, that MEPS undercounts the number of ED visits and the number of ED patients who are admitted to hospitals. Adjusting for those discrepancies using data from a variety of other published sources, the authors estimate that ED costs are between 4.9 percent to 5.8 percent of total health care spending. The authors went beyond national data sets, including the National Emergency Department Sample, to review ED spending data from a different source: a major national private insurer. The data included charges from doctors and hospitals for imaging, testing, and other procedures. But again there were accounting differences between admitted and discharged patients and a need to account fully for spending from Medicare and Medicaid. The authors’ estimate based on this data is ED spending that is 6.2 to 10 percent of total health care spending. Much of the debate in the academic literature around the expense of ED care has to do with whether the bulk of costs are fixed (e.g., expensive equipment and continuous staffing) or marginal (e.g., flexible staff time, expendable supplies). According to Lee, the cost structure of the ED remains poorly understood and is significantly more complex than what is modeled in existing studies. As with assessments of total costs, the authors report, the studies vary widely even after adjusting for inflation. Across four major studies over the last three decades, the average cost per patient of an ED visit in 2010 dollars ranged from only $134 to more than $1,000, Lee and colleagues found. Meanwhile, the marginal cost of an ED visit (factoring out the fixed costs), ranged from $150 to $638. The authors instead argue for an accounting based approach to ED costs using a methodology known as “Time-Driven Activity Based Costing (ABC),” which has been applied to health care by Robert Kaplan and Michael Porter, professors at the Harvard Business School. The method maps all clinical, administrative, and diagnostic steps in a patient encounter and assigns costs to each activity, explicitly accounting for the time spent on each task. ABC accounting might provide a more realistic and transparent measure of ED costs, Lee said, because the emphasis on time is particularly relevant for emergency medicine. “The real cost of providing emergency care has to do with accurately measuring the resources that are used, and time is an important variable to take into account,” he said. The authors acknowledge that an outcome of their analysis reporting higher overall costs for emergency care, may invite further criticism that the expense of emergency care represents unnecessary, inefficient care. And Lee cautions, based on other studies, that efforts by private and government payers to divert ER care may not lead to large aggregate savings. 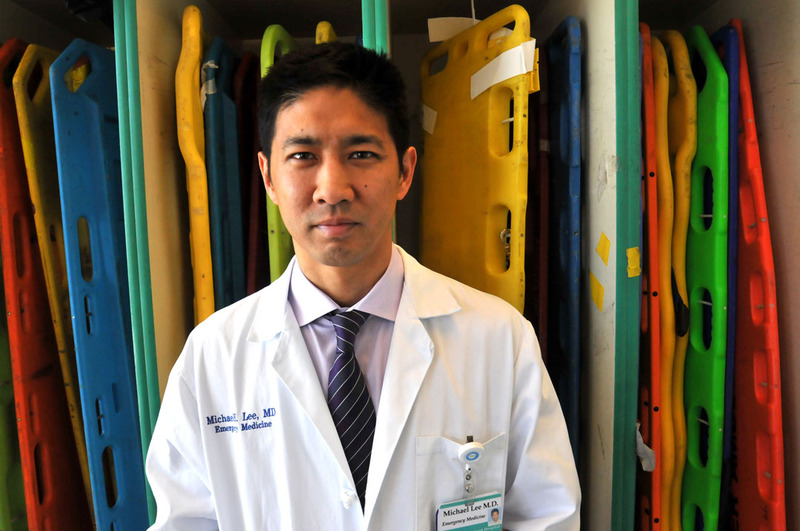 “Diverting nonemergency care may simply shift costs onto primary care offices and clinics which may not have the infrastructure to accommodate a large volume of unscheduled care,” Lee said. Instead there may be more potential for cost savings by focusing on reducing unnecessary diagnostic testing in the ED or unnecessary admissions that originate from the ED. Lee and his co-authors call for the debate to include value, not just cost. “More attention should be devoted to quantifying the value of specific aspects of emergency care,” they wrote. “Rather than minimize the issue of cost, we should recognize the economic and strategic importance of the ED within the healthcare system and demonstrate that costs are commensurate with value.